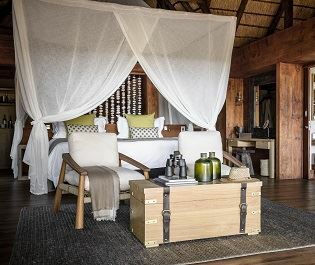 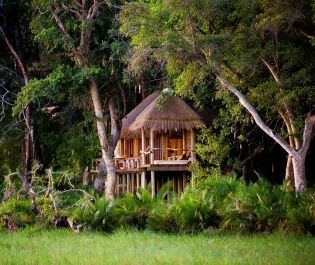 There are only three treehouses at Little Tubu, creating an intimate and exclusive atmosphere that’s ideal for families, or for couples seeking pure seclusion. 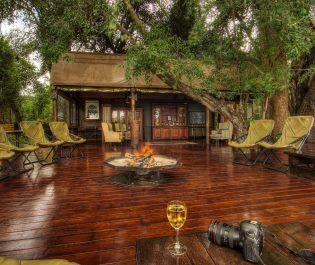 Located on Hunda Island in the private Jao Concession, the camp is hidden amongst the tree line and wonderfully positioned for a safari that celebrates the best of the Delta. 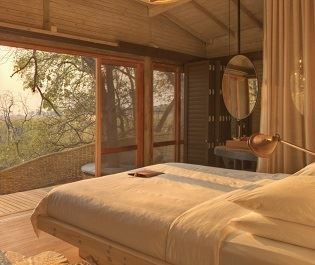 Each of the tented treehouses has canvas walls for letting in the sounds of the wild, plus a private deck that almost always offers a view over wildlife. 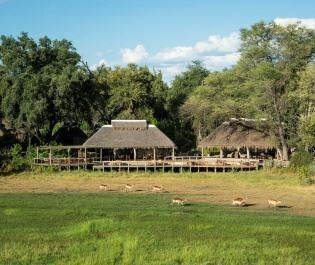 Follow the meandering wooden walkways and you can reach a hidden swimming pool, or a large dining area that’s perched above the floodplain. 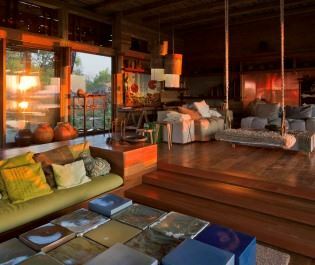 It would be easy to spend a whole day without seeing another person here. 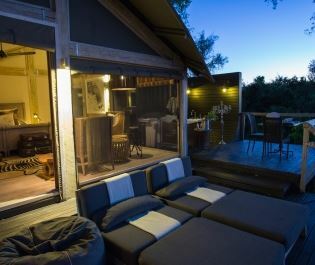 Yet it doesn’t feel pretentious or over the top; this is a cute and intimate camp. 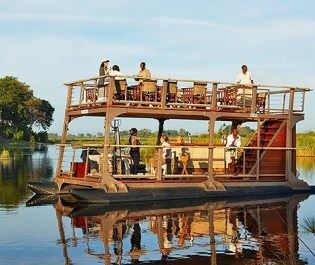 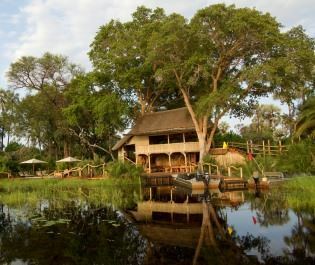 Water levels rise and fall but there’s usually enough for a range of water-based activities, notably the serene mokoro canoe cruises. 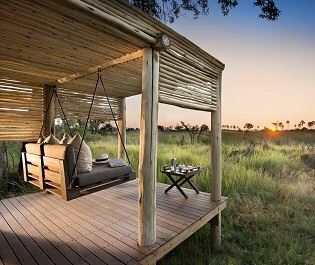 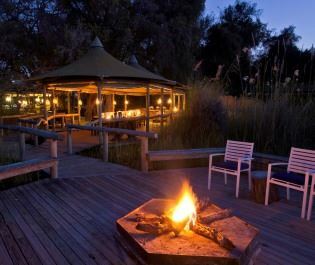 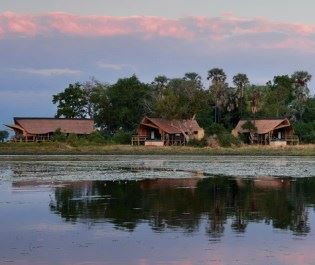 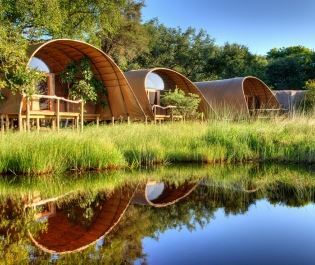 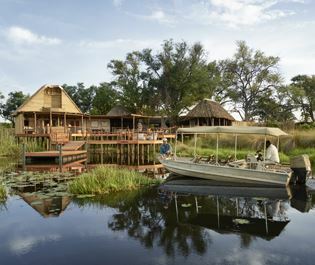 These are complemented by game drives on Hunda Island and we love how you get a very rounded impression of the Okavango Delta. 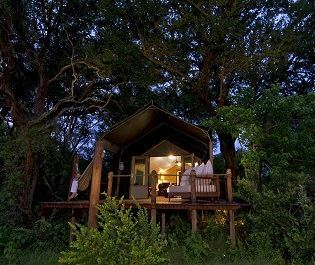 Gaze out from the verandah to see elephant, zebra, giraffe, and hippo. 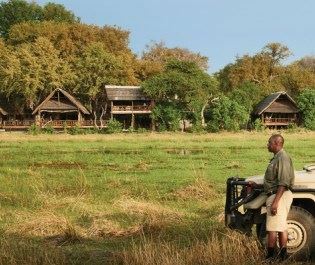 Then explore further to find the big cats. 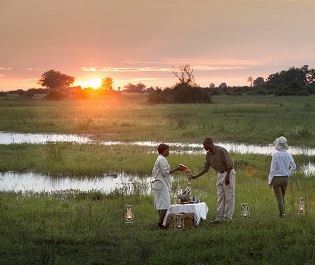 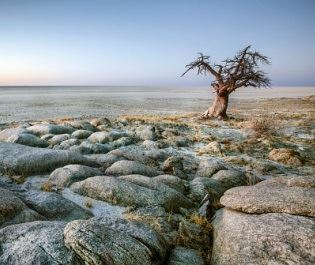 Jao Concession has a legendary leopard population and the guides are adept at uncovering the spotted hunters’ camouflage. 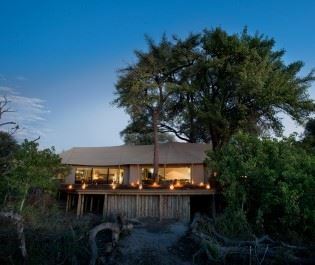 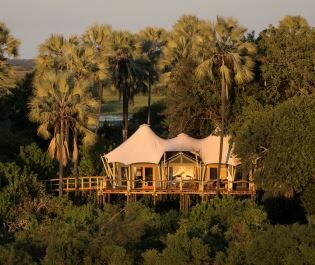 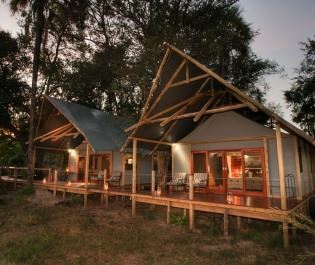 You might even spot leopards and lions in the vicinity of the camp. 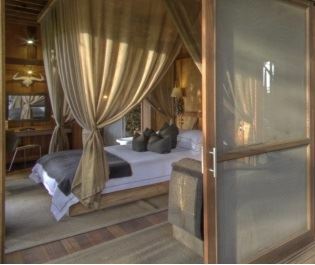 If you’re a family or group of five to eight people then Little Tubu can be booked on an exclusive use basis. 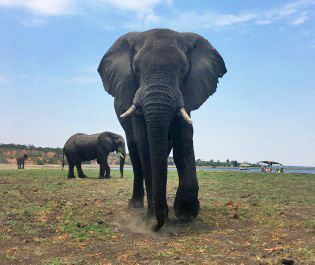 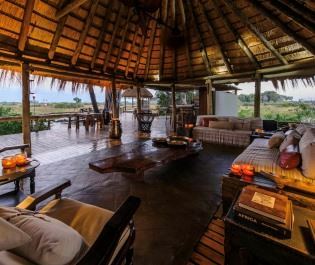 Walking with elephants is an experience we’ll treasure forever, and it’s all possible at this rustic yet luxurious camp. 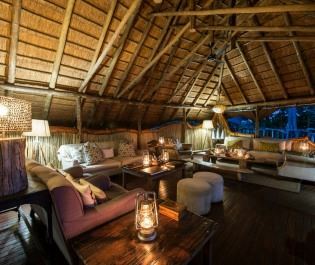 A morning game drive, an afternoon mokoro safari, and an evening of eating pizza by the campfire – we love days spent at this luxury lodge. 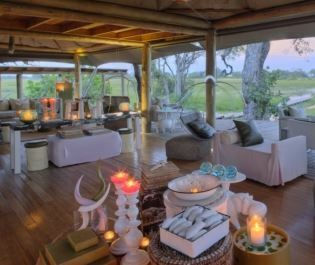 Swap game drives for mokoro safaris and start your morning in a private sala at this breath-taking camp. 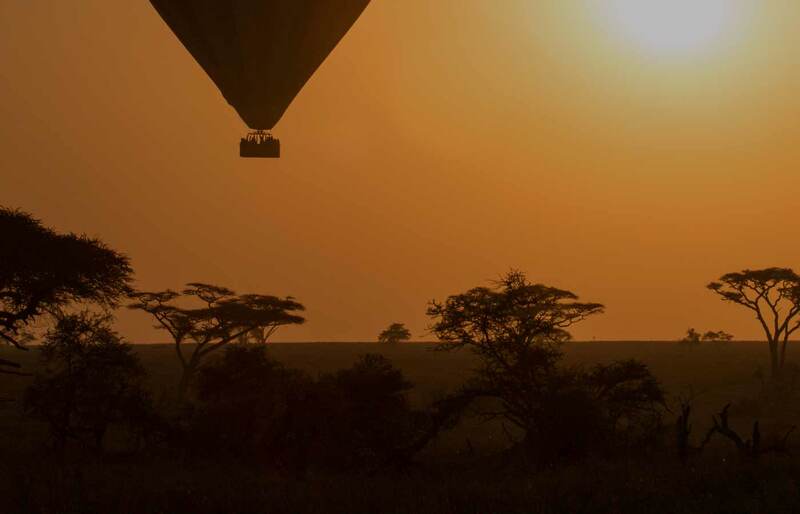 We love the spectacular activities here.